Fresh snow on the ground, a frozen chicken thawing on the counter, it must be thanksgiving.... in Canada! The one holiday Canada and the US don't celebrate at the same time (Canada is colder, therefore it harvests sooner, go figure) is the one holiday the Roy family celebrates religiously, we're religious about non-religious events, see? So this year, we're unfortunately unable to make it south of the border for turkey basting and mashed potatoes (my job), stuffing (my brother's job), salad (my cousin's job) and the other 10+ dishes (my mother's job, we just do some token work at the end for praise, but she actually gets up early and does everything else). No men vs women Celebrity or fighting for the best spot on the couch for that tryptophan induced nap, no stuffing our faces with pumpkin or pecan pie even though we're full and the worst of it all -- no leftover (organic) turkey sandwiches! MAN! Well turkeys, I'm going to shove my chicken in the oven. Happy Thanksgiving America, I miss you! ps Can someone pick up a copy of the NY Daily News Monday edition? 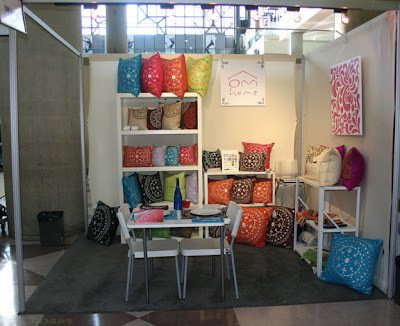 I hear OM home might be featured as part of Poppy's Handmade Market! 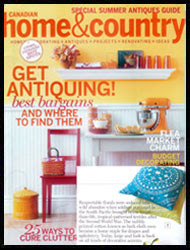 We're still reeling from the fabulous press we received from HGTV a couple weeks back. What a thrill to say, "As seen on HGTV!" 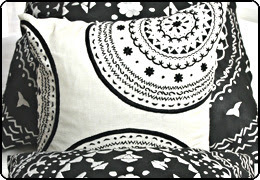 We're also super excited for our new line of bedding, to be launched in time for the NYIGF next February. We just finished the new designs and love, love, love them! With all this activity, we're clearing out some inventory to make room for all the new goodies!! From $15-$65, that's up to 50% off on select items from now until the end of November! 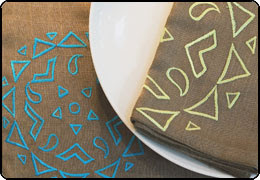 With the holidays approaching, OM home products make great gifts for your co-workers, friends and family with a sense of style and social responsibility! All of our products come with a little pamphlet detailing the story behind our line. Just in time for the holiday season, these are gifts that give back AND are easy on the wallet! 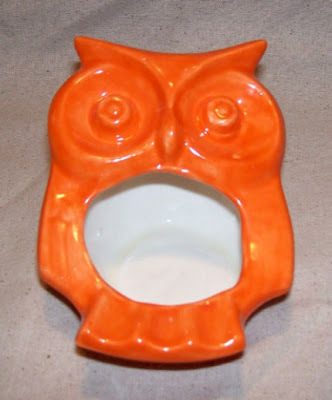 This is one of our most popular products. We've reissued the Mullen Street Pillows in linen and have discontinued the white and natural varieties. 14"x14" or 18"x18", 100% cotton, hand embroidered, hidden zipper closure, solid fabric backing, poly fill insert. 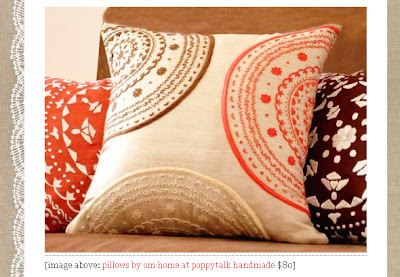 Pillows originally $90, now only $65 and small pillows originally $80, now only $40! CCFC is our signature line and has been featured in several publications across North America. 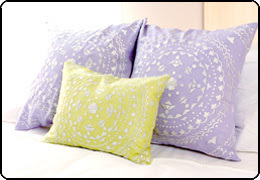 The Lavender pillows themselves can be seen in Style at Home! This color has been very popular at OM home but we're discontinuing the lavender color entirely to make room for a bolder shade of purple. 12"x16", 100% cotton, machine embroidered, hidden zipper closure, solid fabric backing, poly fill insert. Originally $55, now only $30! 18"x18" or 24" x 24", 100% cotton, machine embroidered, hidden zipper closure, solid fabric backing, poly fill insert. Pillows originally $70, now only $50 and floor pillows originally $90, now only $70! 15"x15", 100% cotton, machine embroidered, solid fabric backing. Originally $25, now only $15! 20"x20", 100% cotton, machine embroidered, solid fabric backing. Originally $25, now only $15! 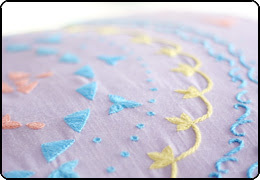 We love the amazing detail behind the New Market line, the embroidery is exquisite! We sold out of this line several times throughout the year and we're sad to see this one go. We think the new color will be pretty great too, change is good! 18"x18" and 24"x24", 100% cotton, machine embroidered, hidden zipper closure, solid fabric backing, poly fill insert. Pillows originally $70, now only $50 and floor pillows originally $95, now only $75! This makes a great gift for a teenager! We're revamping this line to be more eco-friendly and to include bedding! We're clearing out the old inventory to start "fresh". This line will find it's way into the hands of readers all across the globe in next month's issue of En Route Magazine! 18"x18", 100% cotton, machine embroidered, hidden zipper closure, solid fabric backing, poly fill insert. Originally $70, now only $40! 14"x20", 100% cotton, machine embroidered, solid fabric backing. Originally $25, now only $15! It's that time of year again and I'm happy to announce that OM home has once again donated some of our product line to help a wonderful school located in New York, the East Harlem School. 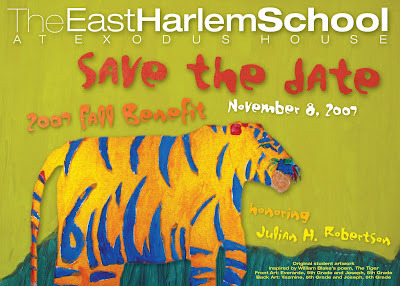 Located in East Harlem, a poverty stricken area of New York where many talented youth are unable to receive the education they deserve, EHS provides a unique program for students. This is the second year OM home has donated items to their annual benefit and silent auction, last year we had multiple bids and the winning bid was over $300. We're so thrilled to be a part of this and we hope this year will be even better! The incredibly nice and talented color forecaster, Catherine B Stein from The Color Council, stopped by our booth at the NYIGF in August. During a phone interview sometime later, we spoke about everything from color to Aurora Borealis to the colors in Aurora Borealis, it was a real pleasure to speak with her. 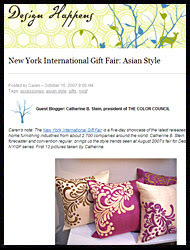 It was an even bigger pleasure to see the posting on Caren Baginski's HGTV design blog this morning, New York International Gift Fair: Asian Style. What a thrill, thanks Catherine and Caren! 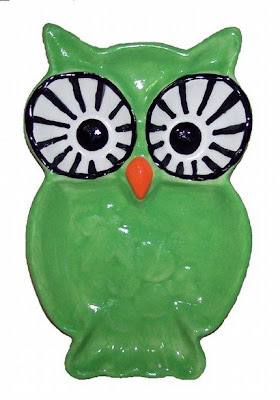 While I was away visiting family in New Jersey, I received my next etsy purchase, lovely Ceramic owls from Fruit Fly Pie out of Tabor City, North Carolina. A popular shop with lots of vintage style ceramics and embroidered linens, Wendy, the crafter behind Etsy, was a pleasure to buy from! I wanted something vintage, colorful and crafty for the kitchen to go with the scheme of our open concept living/dining/kitchen area and I think these are a great fit for the space. Sanj thinks they're too crafty for his taste, mainly because the brush strokes are visible and the glaze isn't opaque (unlike the picture) but we both love how unique and colorful the pieces are, a great addition to the space! Nicely done Wendy! "Poppytalk Handmade is a monthly online street market to showcase, buy and sell handmade goods of emerging design talent from around the world." 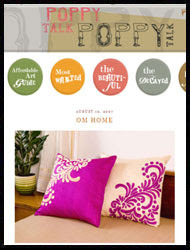 Thanks to Jan at Poppytalk for including OM home in her first ever online market, we're very thrilled to be a part of such an amazing group of talented indy designers! They're still working out a few kinks, but what I see so far looks really great, check out our table here! Unlike the spicy pumpkin latte at Starbucks, this has no calories! Meredith, from SnipSnap Designs, is the creator of the lovely item and I was very happy with the whole process. Her packaging was so sweet too, I felt like I was opening a gift from a friend! 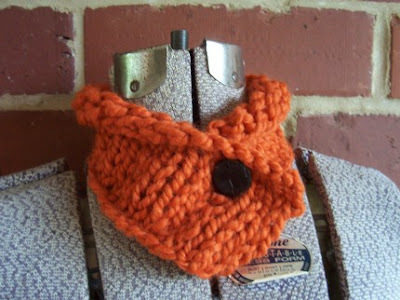 Only $16 for a unique, handmade, high quality scarflette? Thanks Meredith! I received my first etsy purchase in the mail today from Chickadee Fabrics out of Virginia. I was happy to see the picture was very close to what I received and now that I learned how to use my sewing machine (thanks to Nathalie-Roze's Workshops), I can use it for curtains and a seat cover! Thank you to Judy from Chickadee for making the process so painless, no wonder she has 100% positive feedback on Etsy, I'll definitely order from her again! Just got word that Mintu's shop was flooded during last week's heavy rains in Kolkata. Because many of his artisans were celebrating Ramadan with their families back home in their villages, Mintu is continuing to fill orders with only a skeletal staff while he repairs his shop. We're not sure of how extensive the damage is but we're glad to hear everyone is ok. I'll post more information as it comes! 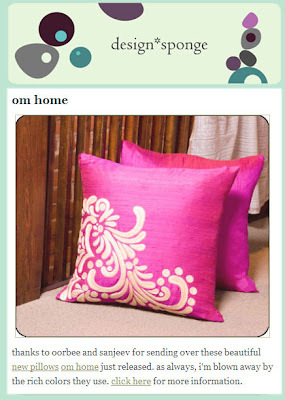 I can't believe a year has passed since we officially launched OM home. What the? Seriously, so much has happened, I can't believe it's only been 12 months... let me just check my calendar. Yep, one year since Grace posted this in her blog. What a ride it's been! Last September, I wrote down five short-term but very specific goals for OM home in the areas of sales, marketing, product development and philanthropy. Leave it to me to lose said list and then somewhere along the line, forget about the list entirely. But, in a stroke of luck during all the packing and unpacking, I rediscovered the list and believe it or not, we had actually succeeded in reaching those goals in just 6 short months! In the meantime, I'd like to extend my gratitude to our retailers, consumers, press, family and friends, thank you for your support and patronage. Thank you to everyone for their support of our new 4490 line and the bathroom from which the line is based. Moving to Toronto would be so much harder if it wasn't for the super nice blogger Jen and her chock full o' resources blog, Toronto Craft Alert. 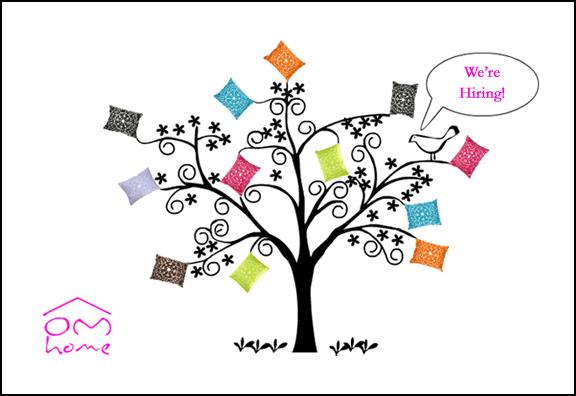 She was kind enough to post our tradeshow bulletin, Thanks Jen! Thanks also to Jan over at Poppytalk for her posting. 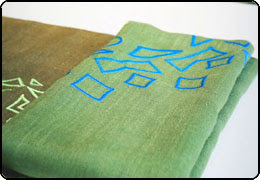 Her continued support of OM home and other independent designers is amazing! She's taking it to the next level with her new venture, Poppytalk Handmade, a wonderful opportunity for people like me to get some exposure to her ever growing readership. The lovely Victoria over at sfgirlbybay was also kind enough to post our tradeshow announcement. A visit to her blog is worth it to see pictures of her beautiful apartment. Thanks for the posting, Victoria! Kix Inredningskoll: A swedish blog, I don't know what it says, but it looks positive, lots! of! exclamation! points!! A very delayed thank you to Rajen over at the all new GTA yoga website for adding us to their yoga style page. This is a very comprehensive guide to all the GTA yoga studios, I think there are 10 studios just up the street from me so I imagine putting this guide together was exhausting! Hope they got a chance to unwind at one of the studios... hope I get a chance to unwind at one of them too. The NYIGF was an amazing experience! Being at the show was a proud moment for me, a testament to how far I've come and it was also an incredibly humbling experience for me, I have such a long way to go! 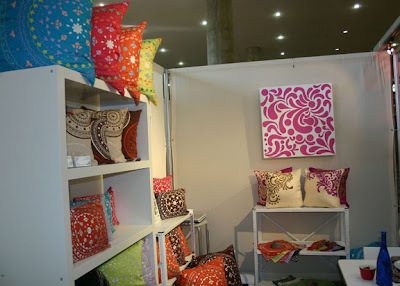 I was overwhelmed by the sheer number of people at the show, both exhibitors and attendees. But I took the time to walk the show a bit and I think meeting other designers was the real highlight for me. There are so many talented people out there, I felt honored to be a part of the crowd. For the most part though, I stayed in my booth, we were right by the cafeteria so after lunch the booth was buzzing with activity! We had press and buyers come by and even some faces we recognize. Hmm, I think it was the painting that got everyone's attention as they walked by the booth! Thank you to Sanj for taking the pictures (among soooooo many other things), check out more pictures from the show here. Thank you to Rohini, Sameet and Sangi for helping out as well! I'm taking a trip to India in October to check in and can't wait for all the new sourcing opportunities there. We'll launch our new line of bedding and other exciting stuff at the next tradeshow so stay tuned for lots of exciting updates! I sat down an hour ago to upload pictures from the NYIGF but I played hooky instead. Sanj and I just took a bike ride in the rain, it was wonderfully .... wet. Sometimes I need a reminder that it's not all about work. So this weekend, don't rush inside if it's raining, enjoy a summer shower with someone you love. We're selling off some of our inventory to make room for new ones! Check out our Etsy Shop for more information or to purchase the items! 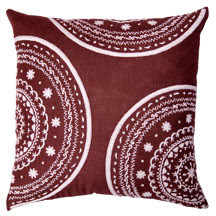 One of our most popular pillows! 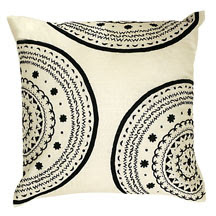 Due to popular request, we're reissuing these pillows in a high quality linen. 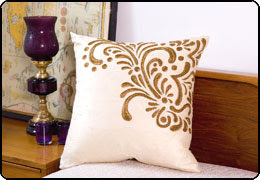 These pillows are made with a soft, plush cotton and hand embroidered with exquisite detail. Poly Filled Insert. These pillows have sold very well for us but we're focusing the Mullen Street Line in a more Retro vibe (browns, oranges, beiges). 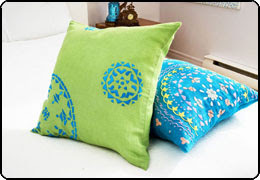 These pillows are made with a soft, plush cotton and hand embroidered with exquisite detail. Poly Filled Insert. 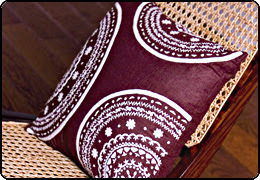 These pillows also sold very well for us but since we're refocusing the Mullen St line, these must go! 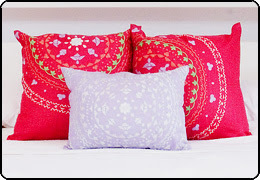 Like before, these pillows are made with a soft, plush cotton and hand embroidered with exquisite detail. Poly Filled Insert. We're still recovering from the amazing experience we had at the NYIGF last week (photos to come), but I'm too excited to wait to post the radio interview I had yesterday with Dr Vidushi Babber on Voice Over America. Since she's a doctor, much of her show focuses on women's health issues by sharing her own experiences and advice as well as those of her expert guests (not me). She also does a segment interviewing positive role models who have successfully balanced various aspects of their lives (me)! Ironing pillows and shipping out orders is far from glamorous, so it was wonderful to step out of the daily grind of running a business and speak a little about the positive side of following my dreams. I am incredibly flattered to be considered a role model and thank Dr Babber for the opportunity! I was so nervous before the show, I forgot to record it! Luckily, my doting father remembered, have a listen. Be sure to tune in next week at 10:45 EST for my dear friend Rachna Vohra's interview, she definitely fits the bill of a positive role model! Thanks to Grace for posting information about our new line! Thanks also to Desi Dish (formerly the Daily Desi), Cuteable, Indie Love and the Indie Guest for their posts a few weeks back! 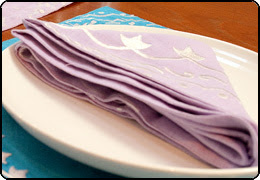 I'm so excited about our new products, I just couldn't wait to post a little sneak preview. 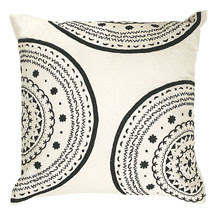 If you remember our bathroom ceiling mural, then these pillows will look familiar. 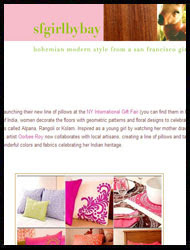 Named after our apartment (number), we'll be officially launching the new luxury "4490" line at the NYIGF next week. 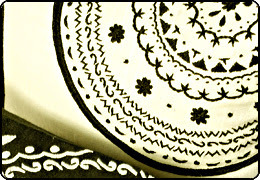 Here's a closeup view of the AMAZING artistry of zardozi embroidery. 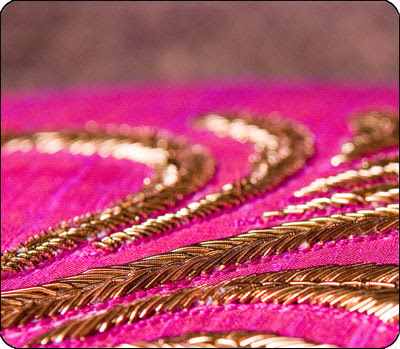 Dating back to the Mughal Empire via Persian influence, the thread is actually metallic! If you're coming to the show, please come by and say hi, Handmade Lobby Booth 1D209, August 11-15 at the Jacob Javits Center. Check out the website for more information about the 4490 line. Hope you like! 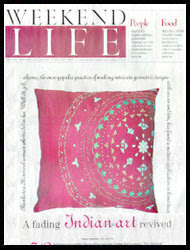 Thanks to Canadian Home and Country magazine for featuring me in their summer issue. OM home was listed in the first story, a milestone for us! We're especially grateful to be introduced to a whole new crowd, many thanks! 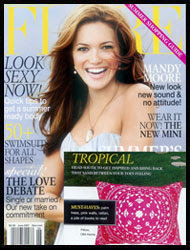 Thanks to Flare magazine for featuring me in their must have section last month. I really like how they put the bright carmine rose C.C.F.C. pillow in their tropical section. It's a whole new setting to an old favorite. Thanks! Since my interview on the DesiConnect, I've received a lot of inquiries from fellow entrepreneurs for marketing tips. Rather then write everyone back individually, I thought I’d share my experiences here. 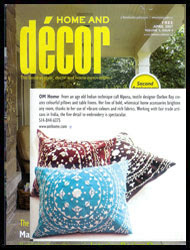 I'm incredibly flattered by the response I've received since the interview and I'd like to thank the DesiConnect Magazine, especially Sheena Singh, for allowing me the forum to showcase OM home to my peers. Although this is specifically geared towards designers based on my own experiences, hopefully it’s relevant to any small business owner. But be sure to research your specific industry to see how others gain momentum and don’t be afraid to contact people in comparable industries for advice as well. Chances are they’ll be flattered! The advice I received from other entrepreneurs has been invaluable and continues to be eye opening. But I think it took me more than a year of stumbling around somewhat aimlessly to really absorb their insight: If you want to be taken seriously, you have to look serious. 1. Professional Pictures: For people in the design industry, this is perhaps the single most important marketing investment. Even if you have a very limited amount of money, make it a must! Also, make sure to take two sets of pictures, one with a white background and one in a setting. The two sets can work together on your website and for the media. Tip: I went to the websites of local small businesses to find a photographer in the area and was very fortunate to discover Darren Curtis of Actaeon Photo, an awesome photographer with reasonable rates. Other people have put up fliers in trade schools to find talented students at very reasonable prices. There are a lot of affordable options! 2. Where to Buy: Media outlets won’t feature you unless there is an easy way for their readers to find your products. Either in a store or online, this one is crucial. 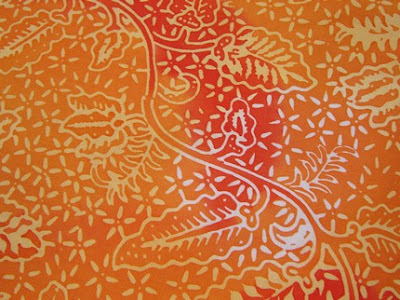 Tip: Etsy.com is a website for designers to sell their wares for a very modest fee. Even a fax order form on your website will go a long way. You don't have to spend a lot of money to jump start your business. 3. Website: This one isn’t vital but it helps (a lot). But you should definitely have a front page with a picture of your products, some contact info, links to press and how to buy. Tip: There's no need to waste a lot of time and money building a fancy website, that can come as your company grows. Setting up a simple blog showcasing your company with links to an online shop on Etsy.com will be a manageable way to start up your business and give you the necessary online presence. 4. Press Release: Everyone is busy and people in the media are no exception. They receive dozens of inquiries a day so make it easier for them by doing some of the legwork. More likely than not, if you’re a small business owner your story is interesting. How did you get into business? When did you start learning your craft? What makes your company stand out? Tip: Ask a friend what they admire about you, your business and your craft. Start telling people your story and see how they react, see what catches their attention and what doesn’t. You’ll be able to create a cohesive press release based on their feedback. 5. Marketing Kit: Create a compilation of your business card, pictures, press release, press pieces and any other promotional material into a folder and/or online. Media outlets often need information very quickly and you may not be able to keep up with the demand. If you already have an online section for them to access or a kit to send them, you’ll be prepared and they’ll be grateful. Tip: If you’re creating an online section for the media, make a password protected section with hi-res images available. Make sure to include the name, color and price of the product as well. For a marketing kit, create a folder that stands out amongst the many other kits they receive. It can be fun and creative but make sure it still looks professional. 6. Target and Timing: Be sure to target your efforts to the right audience at the right time. If you create Christmas country wreaths don’t waste your time contacting Metropolitan Home in April, it’s just wasted time and you’ll have disappointing results. Tip: Often, someone will love your stuff but may not be able to find the right fit for it at that particular time. If they've replied to you, don’t be afraid to contact them again in a few months or when you have new products, they might have a space for you! 7. Think Big but Start Small: It’s ok to start out in some of the local or smaller magazines or up and coming blogs and work towards the bigger outlets. It’s harder for magazines with large advertising budgets and corporate ownership to take a chance on an unknown artist. The smaller ones have more freedom and take chances, start there and you'll likely get positive results. Finally, I am incredibly grateful for each and every person interested in my products or story, including other entrepreneurs, the media, stores, buyers, customers, family and friends. The feedback inspires me to continue and keeps me focused on growing my business. I’m never shy about my gratitude and express this freely to people I encounter. It is possible to be friendly and professional - it’s exciting to build a business! Make sure your personality and enthusiasm shines through every time you reach out to someone. If you find this helpful or even if you don't, please drop me a note and I would be thrilled to hear how it's going for you. We're super excited to have our first retail outlet in Toronto, EyeSpy Gifts. A super chic and colorful store combining Adler and Mid Century Modern with eclectic gifts and quirky books, Eye Spy stands out in the up and coming Leslieville. 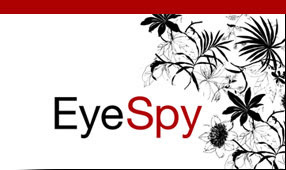 The ladies over at EyeSpy are super down to earth and design saavy, they all love the business which makes it a pleasure to be there. Happy Fourth of July and Canada Day! I feel like I went to sleep last night in May. I can't believe how fast time is flying by, it's almost July already! We've been very busy here but more on that later... Right now I want to share the latest news at OM home, we'll be exhibiting at the New York International Gift Fair this August 11-15 in the Handmade Section, Booth 1D-209! This has been a long term goal for OM home right from the start. 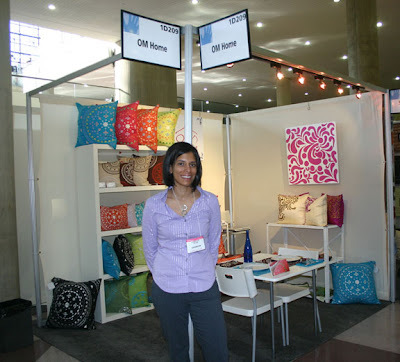 I remember when I first started my research way back in 2002, I walked the aisles of the NYIGF in wonderment and awe, both inspired and intimidated by the number of talented independent designers exhibiting. So to actually be in the show now is such a thrill for me. Wow. We'll be launching some exciting new products there and we hope to see you! Thanks to Jennifer Sbranti over at the Hostess with the Mostess blog for her amazing graphic spread of OM home's surprise giveaway. 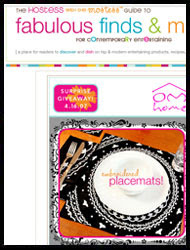 Congratulations to Taylor for picking up a set of four OM home placemats! 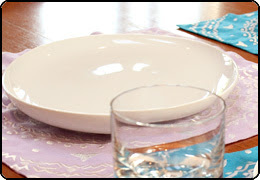 Be sure to check out this hip hostess' new website with awesome entertaining ideas, great job! 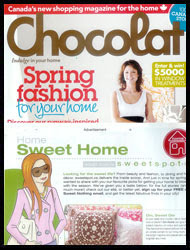 WOW, we're incredibly thrilled with recent features in Bon Appétit, Sweetspot for Chocolat, Home and Décor and Montréal Gazette. 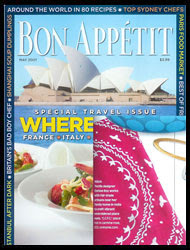 Thanks to the gang over at Bon Appétit who are super nice and down to earth. Getting a plug in their magazine was a huge milestone for us! An added bonus was their story on the Plateau section of Montreal in the same issue (this May). Sweetspot was one of the first publications to feature us and we sincerely appreciate their continued support, thanks ladies! Susan Semenak over at the Gazette did a great job of focusing on the human element of OM home and her story was much needed encouragement for me to continue on my path to help artisans in India and to revive a dying artform, thanks so much for the support. 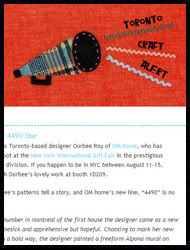 Amy Tokic over at Home and Décor in Toronto featured OM home as a highlight at the IDS. US? a highlight? WOW, that is soooooooooooo cool. Thanks! Every once in a while, you meet a person and immediately feel as though you've known that person for years. That's how I felt when I met Rachna. Last year, we both attended the Yes Montreal business seminars aimed at budding entrepreneurs like us. While the seminar was helpful at the time, I admittedly don't remember much from the series. I was probably excited to have made my first friend in Montreal more than anything else. Rachna Vohra is a dreamer and she dreams big. Fortunately, her tenacity and talent are a winning combination and she will surely realize whatever dream she sets her sights on, no matter how big. Already on the road to living her dreams, Rachna spends her days as a technical writer for a large clothing company (which explains why she's always so well dressed) while building her ever growing editorial and translating business, S'apostrophe. All of this ties into one amazing thing: Her writing. Holy smack, this chick can write! Rachna says, "I started writing when I could hold a pencil, and I started editing people's papers and projects when I was in grade school! 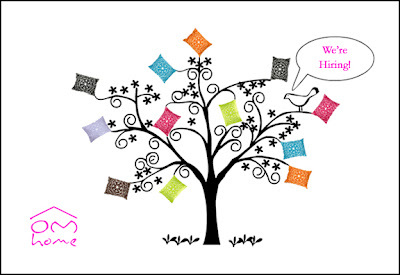 I officially started my company in 2006 because I realized that proper grammar and spelling are lost in today's world. I can't read anything without editing it (even friends' emails!) and I am a writer at heart, so I thought to put it together and start up in this business. (and holding that red pen makes me feel so powerful - but that's a secret!)" When she's not marking up other people's work (surely, this blog will need to be edited), she finds the time for her writing. 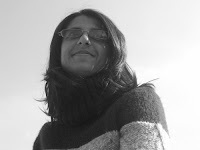 Some of her work includes, The Distance Within and The Acorn and the Caterpillar and next month, Rachna will be a speaker the Kriti Festival, an event for South Asian Writers. She's also got a huge heart. A few years back, she spent several months with the Parikrma Humanity Foundation teaching English to street, slum and orphaned children in India. 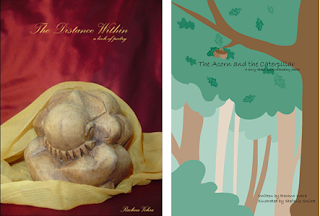 Since then, she's joined the Make A Wish Foundation, donated proceeds of her book, The Acorn and the Caterpillar in memory of a friend as well as contributing to a book aimed at raising Breast Health Awareness. It's no wonder the United Divas website named her Diva of the Month! She credits her parents for her unwavering drive to success and all creative dream seekers (and realizers) for her source of inspiration. She recalls an inspirational meeting with author and animator Jessi Thind, "It was wonderful to see a local writer stepping over boundaries and obstacles as if they were pebbles in the road. He encouraged me to start taking my writing to the next level...It was a wonderful feeling to become friends with a successful writer because it gave me the motivation I needed to believe that I could actually go somewhere with my passion." 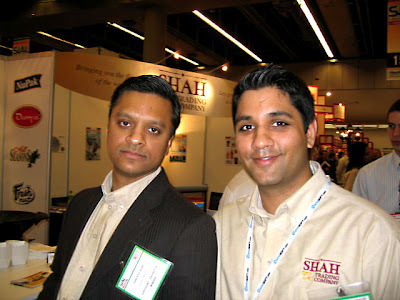 Last week, it was my turn to help Sanj out with his tradeshow, SIAL Montreal. I gained 5 pounds and skipped the gym to partake in the gluttonous wonderment that is a food show. I don't care, I got to see my husband in action and that was hot. Speaking of hot, the talented and witty Chef Ali Hassan of Lime Catering, cooked up some spicy Moroccan Lamb on day 2. The aromas wafting from the booth during his three demonstrations were a real crowd pleaser and with promise of exotic foods, he successfully lured prospective buyers over. Even I got a chance to add my own flavor by creating the recipe cards! For three days, my sister in law Neige and I passed the cards (along with tamari almonds, curry and ginger beer samples) out to overstuffed but still curious passers-by. But the real winners were Sanjeev and his brother Kamal. The first tradeshow for their second generation family business, Shah Trading and the unveiling of their new look, I was completely floored by the 300 sq feet (almost the same size as my old NYC apartment) booth they put together. I wasn't the only one impressed, these guys connected with big buyers (HUGE) and they did so with as much respect, confidence and humility as they did with little buyers. WOW. Great job guys, I learned a lot from you last week and was happy to be a part of it. A documentary filmmaker, an author, a radio producer and a really good cook, Tally Abecassis was one of the first people I met here in Montreal. A longtime friend of Sanj's, Tally was my own private welcome wagon when I first moved here and her kind gesture helped me feel settled here. I'd always think, "Wow, I can't believe someone this cool is taking the time to welcome me here." Yeah, she's cool. 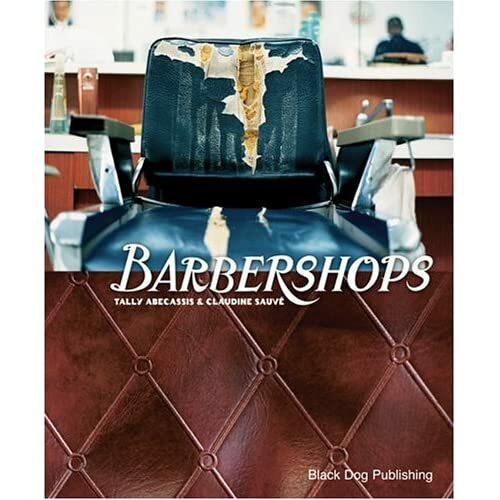 -- A long term documentary on small stores, "Think Big"
One of my dream projects is to do a video press kit for OM home with Tally. A piece on the often wacky production process of OM home's textiles, including some history on the art of Alpona. Hmmmm, someday. In the meantime, Tally's next major documentary piece, Radio Waves will focus on children in West Africa; how they see their lives and their future. For this documentary, Tally traveled solo to Burkina Faso to gather some initial data, we were all very inspired by her diligence and creativity-- we are all very inspired. "Marci Denesiuk is my wonderful friend and a wonderful writer. Marci is always pushing herself creatively to try new things. 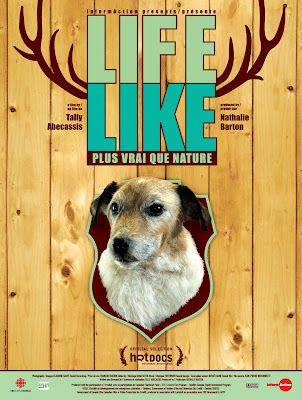 For the launch of her book she put together a quirky claymation film (very hard to do!) to accompany her readings. It was hilarious and a great way to change the dynamics of a reading. And of course, her writing is beautiful." Thanks Tally, I'll miss you in Toronto!